If you thought I was just making up the “Maple Manhattan” from the previous post for alliterative effect, you would be right. But then I decided to really make it up. Enlisting my friend Michael Shearin, Sommelier & beverage director of Drago Centro in Los Angeles, as a sounding board. 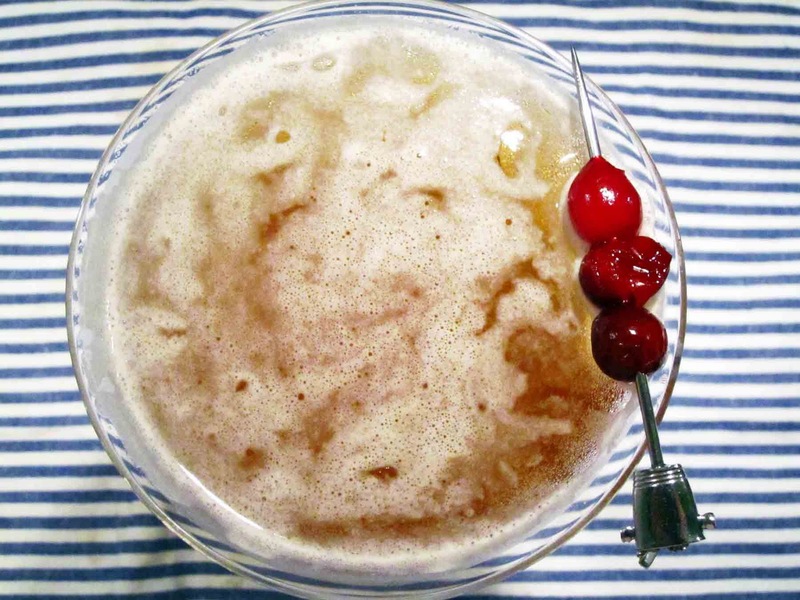 I was married only to using whiskey, replacing the sweet vermouth with maple syrup, and garnishing with preserved cranberries, rather than a cherry. 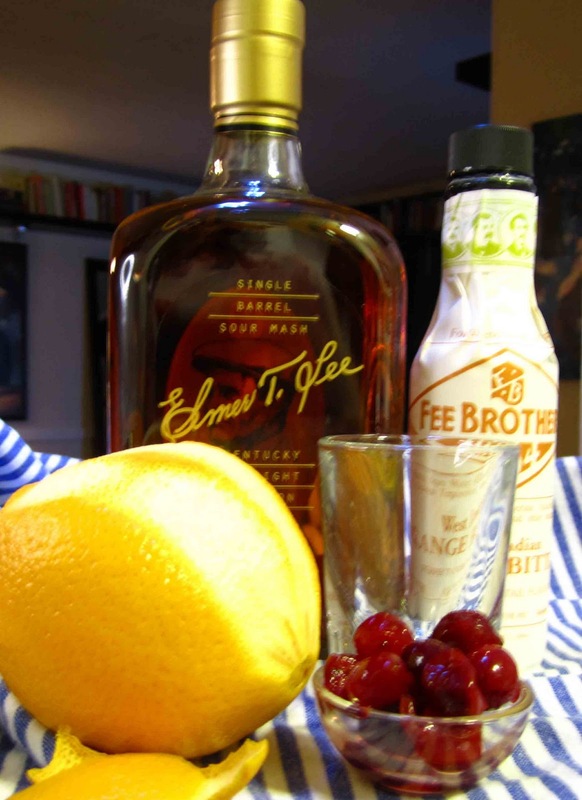 Michael had the brilliant the advice to also add Orange bitters and to macerate the cranberries in an American Whiskey (like Makers’ Mark), rather than the Cognac I had been planning on, because “a Thanksgiving cocktail should be American.” A truth that I was mortified that I had not arrived at myself…. Pour Whiskey, maple syrup, and orange bitters into a shaker filled with ice. Stir 30 times. Strain into martini glass. Twist orange twist over the top of the cocktail, garnish with three whiskey soaked cranberries. 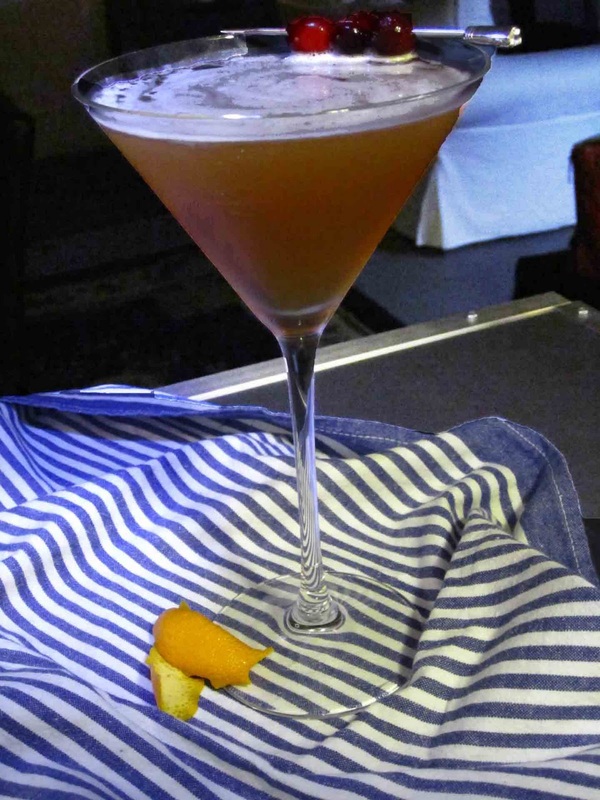 Notes: A classic Manhattan should definitely be stirred, rather than shaken. Since the Maple syrup has a bit more body than Sweet Vermouth, (and I may or may not be the impatient type), I won’t judge anybody who shakes rather than stirs this drink. Also, the cranberries will not sink like a cherry does, so I like to put them on a swizzle stick. Combine water, lemon juice, 1 ½ c. sugar, & salt in a pot and bring to a boil. Reduce heat and simmer until sugar dissolves. Bring back to a boil, then lower to a simmer before adding the cranberries. Gently steep the cranberries for 1 minute. Strain berries and discard liquid. After cranberries have cooled a few minutes, combine with whiskey in an airtight container. Dust with the remaining ¼ cup of sugar, and marinate in the refrigerator overnight. Once the holidays have passed, this drink is also great as a manlier option for a brunch, just replace the cranberries with the traditional cherry, it’ll still work out fine.